Asha 501 users have surely had a hard time in the past months as they were provided with a half baked firmware which lacked lots of features which were available in old Asha S40 since ages. The long wait finally comes to an end as a new and highly improved software is now being pushed towards the Asha 501 users. Out of all the new features, the biggest one is support for WhatsApp. Guess this will finally calm thousands of Asha 501 owners who kept on waiting for WhatsApp for over 3 months already. As about numbers, the new software rests at version 11.1.1 or greater (in some regions). This is a big pump from the previous 10.0.14 so expect some cool improvements in this new package. Besides WhatsApp, the update offers lots of other goodies as well. Find most of them below. These are the official release notes provided by Nokia. The update is majorly being pushed as a FOTA (Firmware Over The Air) update and is available for the devices in most of the regions already. Here’s how to install the update directly on the phone. Turn the switch from Off to On (do this even when you are connected to WiFi). If its already turned On, turn it Off and then turn it On again. The phone will do an automatic check. Return to your home-screen and see if a notification pops up on your Fastlane or Swipe Down menu. Tap on the update notification and initiate the update. After the update is downloaded, the phone will be updated and ask for a restart. Your phone will be updated and you’ll be presented with the updated homescreen. P.S: If no notification comes, the update might not be available for your phone yet. Try again on the next day. Also note that updating via PC will clear all your personal data from the phone. So don’t forget to take a backup. Im using asha501 when i turn on wifi the wifi network not showing and when i turnoff its taking loong time. Why? 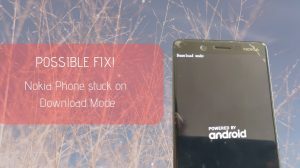 You can try performing a reset of the phone. Any software issues should be fixed by doing that. When I updated my nokia asha 501 I am unable to use UC,FB and etc.apps because all those all have removed from my phone and even it does not download completely and install.I want my original software how can I get? After resetting whatsapp is not installing again i have tried to download from other sources its not downloading please help me sir..
WhatsApp for Nokia feature phones is being discontinued. You won’t be able to use it further. Hello sir .. I’m using Nokia Asha 501 my mobile was an working for very slow.. And images, song’s deleted from the list and can’t delete in images and songs place… Untold area black screen at the place ….. So how to resolve this problem please help me sir… Thinking you sir…. my settings, call logs, contact and many more items are removed from menu. how can i update my phone if all my applications like gallery,contacts,messages,settings and almost all the applications are missing….. I install watsapp it opened i type my mobile no then click ok they said to download certificate i downlod it but it still note working why? Not possible… ValiCert Certificate was expired in 2014. How can i update using my phone if all my tools application like gallery, music player, camera, file manager even setting are missing and gone from my phone? How can i install all of it back without using PC because i dont have any computer at home.. Can u help me with that? How to solve my big problem? Reply me as soon as u can.. Thank u so much.. Sorry to say, but you can do nothing here without having access to a PC. 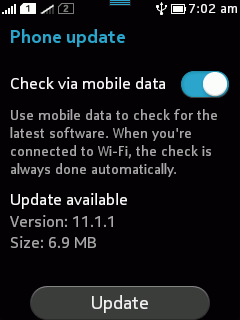 I checked for updates but still can’t se the option for updating. I’m badly in need of whatsapp..is there any other way that I can get whatsapp without updating? Try using the Nokia Recovery Tool to see if it offers an update. You should use the recovery tool to reinstall the phone software. my wifi isn’t working and i deleted all of my certificate i tried to fix it using recovery tool but it’s still not working it’s been a year already. My nokia asha 501 set i have delete all certificate in use whatapp, naws hunt,uc browser e.g.So my hand set no support all files. my apps say that this service is not supported. Use the recovery tool to re-install the phone software. please help me I have lost my certificate of nokia asha 501 and now I can not download any application and my nokia store is also deleted and whats App can’t be installed and I can’t update my phone.How can I get the certificate back. You need to flash the factory firmware again using the Recovery Tool. i dont know how to activate call waiting pls let me know how to do it?? Hello. I have Nokia 501 and performed firmware OTA update as well as updated to Opera Mini. I have a problem with the twitter app. Any ideas on how to fix this? Any help will be greatly appreciated. Thank you. after i resetted my phone[asha 501], i am not able to use watsapp.i tried to download from various sources but it fails and shows that some file is missing.when i tried to update the phone it shows cant validate the certificate.what should i do..? please help..
my phone is nokia asha 502 and i unfortunately lost my certificates. so, any one can me out with this how to download or install the certificates. You will be needed to flash the full factory firmware using the Lumia Software Recovery Tool. The update software don’t show up, how to do? .might be the reason of format? I needed Xpress that was very good operator so it can’t be get back plzzzz if it possible…??? No. Microsoft has discontinued it unfortunately. I lost my internet browser of nokia in that place opera mini is their so how to change it nokia asha 501 browser?? Xpress has been discontinued and replaced with Opera Mini. You cannot get Xpress back. 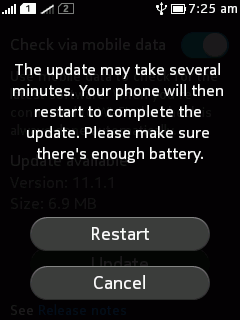 My asha 501use to show software updates automatically,when available,but it suddenly stopped. Can somebody help me please,i don’t enjoy it anymore but i still love it !!! 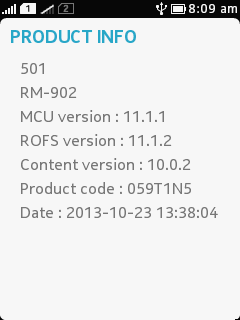 There are no new software updates available for the Asha 501. So that’s why it doesn’t show them. It is either a corrupt firmware or hardware failure. Consider visiting a Microsoft Care Center and they’ll be happy to help you with this. You need to keep it as downgrading is not possible. OTA updates don’t delete anything, but it is still advisable to backup. If you update using PC, everything will be deleted. I have been having a difficulty trying to create a back up for my phone, I have a Nokia Asha 230 dual and an eight GB memory card but now my phone memory is very low and I always get a reminder to create more space for the phone. When I go settings and then to create backup after a while it says ” something went wrong during back up” I have tried a different memory card but it says the same. Please help, what must I do? is anyone having trouble downloading (music, images, videos….). i’ve experiencing trouble since last week. how we can delete whats aap from nokia asha 501…..i don’t want it….. If you activated the pre-installed version, I don’t think you can remove it thereafter. You checked to delete user data? how i can get out of this prblm….? Hi. I don’t know if I have accidentally reset my Asha 501 but it seems like it’s already updated as I have checked. But problem is i lost my certificates and it wont install applications such as facebook. It has the worst browser, it auto answers calls, and it no longer has the store in it. Please help. You need to get your phone refurbished. Either visit a Nokia Care or else use the Nokia Software Recovery Tool (if the firmware is openly listed). Any plans for Wifi HotSpot functionality in Asha 501? I think not. Such a thing won’t be introduced in these asha phones. There are no updates available and most probably there won’t be any in the future. They only fix the phone stability issues with the software updates. The things might change for newer phones, but for 309, I guess it has already completed its support cycle. I don’t see any bigger problems, but – for me – the phone works exactly the same as it did before update (not that bad, to be honest). Encountered one annoying problem though – deletion of all album covers I saved (except for the ones that phone recognized by itself from start). I would just bring them back, but whenever I try, my Asha stops recognizing those songs altogether. yeah time and date are set properly… so what can i do… can i contact with nokia care???? Is date and time on your phone set correctly? Usually that is the cause as certificates are only valid for a short duration. There is a problem wifi that appeared after update. Not always but often phone freeze up for a minute of so when trying to connect my home wifi point. just black screen (maybe reboot, but ) then phone wake up, restores cellular connection and connects wifi at last. recently cleared wife setting and black screen crashing each time. all that depressed me alot. please help guys! Despite that last update makes 501 better. push notifications must be shown on lock screen? mine not. i just came across a problem with my nokia asha 501 after updation . i started facing problem of frozen screen at startup. after trying for 3-4 times it restarts directly. is any body facing the same problem. whats the solution for this. I just came across an interesting change in Phone Lock in 11.1.1 sw version which i would like to share. I stumbled upon this while i reset my phone to factory setting having a phone secutiy code active. The default length of the password has changed from 5 digits to 6 digits! Also the code delay duration after screen is switched off options has been updated with min 5 min minimum. Works for everyone. Try resetting your phone to factory! Double Tap was intentionally made harder, because the phone was waking up even when Music included a little bit of extra bass. So that won’t happen anymore now. My security code has also changed after the update and it is not 12345. Pls help what to do. No idea really 😐 You should visit Nokia Care and your phone will most probably be flashed. Got the issue of code change resolved automatically !! However, there is another problem. I cannot see any of my contacts in the phone..when trying to copy from Sim to phone, it fails to do so. Even if I try to save a new contact, it shows as saved but then vanishes away when I reopen the contacts….what do I do?? Pls help. 1. Double Tap does not wake up the phone usually when it’s deep sleeping- even with hard taps! 3. DOuble tap to wake up after using screen lock button- does not wake it up easily. 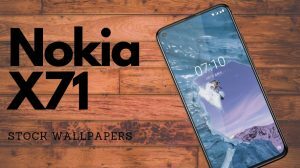 Nokia cleared in Discussions that this was willingly made harder so as to make sure the phone does not wake up unnecessarily while in your pocket of while playing music. Yes it uses the accelerometer sensor to achieve this and hence makes it harder to control waking up happening due to movements other than double tapping on the screen. Actually Nokia Care can’t even do anything here. It’s not a hardware fault. 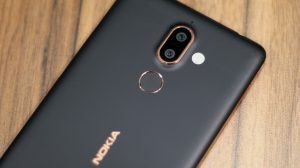 The sensitivity is controlled via the software which is not developed by Nokia Care, but by the Nokia’s Development teams. You can try posting in Nokia Discussions if there is enough voting for this, they might decide to increase the sensitivity yet again (hardly happens though). Besides that, there’s no solution and you should better turn off the double tap feature instead of tapping it hard and getting frustrated. Alas, due to the changes in the sw version this is getting increasingly difficult to use! Nokia should give a sensitivity setting for this i feel. Now many droids can do that 😀 Blow to wake, wave to wake.. There’s so much stuff already lol. But all of these are gimmicks and DT2W really is something cool. I updated my Nokia 501 and now I have version 11.1.1 but I just can’t connect the WiFi at home. Today I tried it at a shopping mall and it worked 🙂 it connected to a free WiFi spot, but at home it doesn’t work anymore. It shows that it’s connected, but when I try to connect to the Nokia store or with the browser it tells me there is no connection. Sometimes it shows a message about the SSID that if I want to overwrite. I say yes or no, but nothing happens. Do you happen to know what could it be? Regards. Nice to see a well written article with comments in full english too! A welcome respite from the run of the mill websites. If this is a result of your moderation, great job! I’ve got a Lumia running the WP7.8 and I was sick and tired of that same issue on whatsapp as Plinio Henrique had – Whatsapp, FB notifications suddenly stop coming and only return after a reboot. Is that a similar situation on the Asha lineup? Also, any news on the Asha 503 release date? thanks again for the eminently readable comment board! Thanks for all the info. Your blog rocks! Copy Paste was not included in this built and I guess none of Nokia guys said that its coming in this update. They however did mention that its coming and might only be added to the newer 502 and 503 for now and maybe 501 will receive an update later in the future. However this is still not certain. Will let you know if I come to know any more about this matter. Using the password protect option prior to update, updated the phone via OTA, works fine. Has a password confirmation tick box added. Did you update via NSU and clear the data? I read your total process carefully. Also read all comment and got a clear information for firmware update in ASHA 501, Thanks Bro. Good to see a dedicated thread with the tutorial. I just updated and trying whatsapp. How did you get the screenshots of the phone? is there any method to take screenshots? Changes in new firmware are Fastlane- selection of apps- you can actually choose which apps you want to see in your fastlane. Also UI seems more fluid. Hope they have resolved other bugs with this update as well. Do you have a changelog for the improvements? No such change-log was released, but I noticed some tidbits like the Alarm Volume is now pushed to 12 from the earlier 9. Plus, the push notification system got some mighty improvements. Also another nice addition is that now you can disable camera sounds out of the box (this happened with my test unit. Still looking for a confirmation). There would be lots of more tiny improvements which you’ll notice as you use the phone 😀 As about the screenshots, they come from RDA and there has been no tool around for consumers to easily take screenshots from Asha 501. Yeah the whatsapp is really cool 🙂 And one more thing i liked the most is ” Tap on any file and click on share option there you will find all the accounts which is in old S40. but now the addition/Integration of whatsapp in that share option is really awesome unlike wechat or line”. > Youtube can stream via wifi(Laptop Hotspot) which was not possible earlier. I am unable to download the update, have been trying since 30 mins, i get unable to download, something went wrong message. I am trying to do it from my service provider not wi-fi. 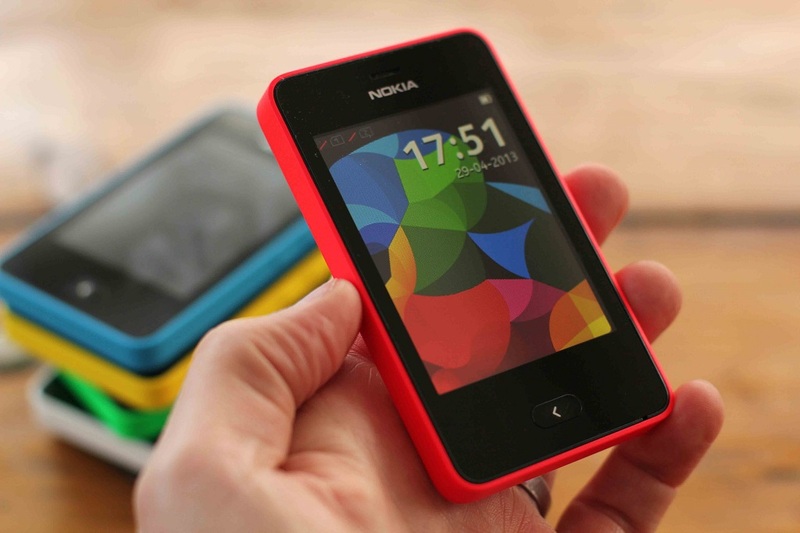 Nokia Suite does not support any of the devices running Asha Software Platform.